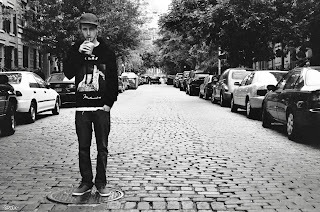 Video: Asher Roth - "Turnip The Beet"
Lately, Pennsylvania rapper Asher Roth has been releasing some dope tracks, including one called "Turnip the Beet." Today, he released the new video for the song and it follows him through New York City as he walks around visiting different places for food. It's a simple video directed by Rik Cordero, but it is totally an Asher Roth style. Watch below.